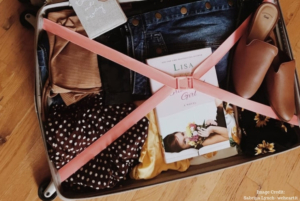 Our Instagram, Facebook and Snapchat feeds are flooded with the sun, the beach and late-night partying like there’s no tomorrow, while some of us get stuck here in the bustle and heat of the city. Whatever force majeure it is that’s keeping us from perfecting our tan and basking in the sun, it’s slightly depressing. 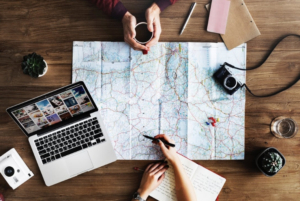 In an attempt to lift ourselves from this city-bound induced sadness and to stop us from eyeing all those snaps with envy, here is a list of activities that are perfect for getting our own piece of summer in the heart of the city. As Cairo moves to Sahel these two months, some of the most popular activities are the early morning workouts set up there. While nothing beats breaking a sweat in the beach sun and then cooling off in the sea, we can make our own early workout and maybe even relax in the process. It’s an escape from the stresses that come with being stuck in the city without having to go too far! Specialized in Yoga and in operation since 2011, On the Mat offers a variety of classes and a diverse range of professional and experienced instructors. For early risers, there’s the “Early Bird Yoga” class at 7.30 am on Mondays and Wednesdays. Classes include different Yoga variations as well as meditation. Check their website or Facebook page for more information on the classes and their schedule for more. We’ve already #triedandtested their Vinyasa Express Yoga and it was perfect. Other than that, Osana also has a number of classes that operate in the morning, including their “Yoga for Non Yogis” class. 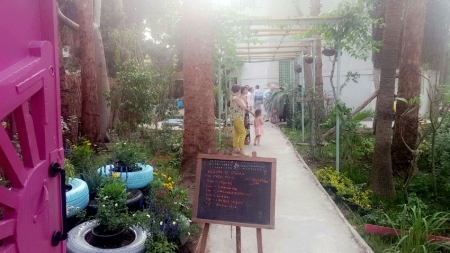 Start your day off with a light bite from their café, yoga for relaxation to rival the beach, not to mention the immediate sense of escaping the city once you step through their gate. Be sure to check their schedule for updates and changes. 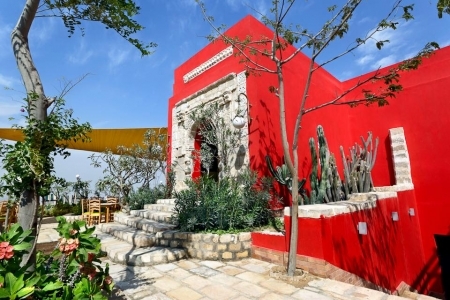 One of the appeals of Sahel is that we breakfast, lunch and dine in style and with a view. 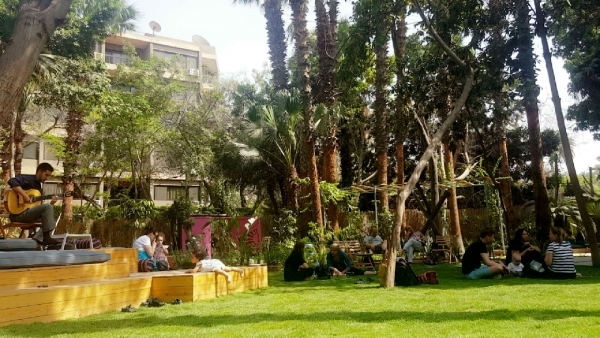 Cairo offers some alternatives and views of its own. Replicate the summer vibes and create your own view with some of these options. Instead of feasting on Andrea Mariouteya in Hacienda, devour their fresh breakfast on the weekends or enjoy their oriental cuisine and phenomenal city views any day at their New Giza Branch. In Marassi, The Smokery is scenically situated by the lake. Here, too! The Smokery in Kattameya Heights offers a lovely view of greenery and the lake. Their menu is to die for and, with the sun shining, it makes for a wonderful breakfast venue. Still craving a view? 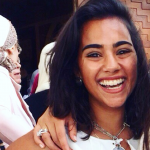 You could head out to the Cairo Tower, El Borg, and enjoy their 360 Revolving Restaurant’s international cuisine, or a snack at the Sky Garden at the highest point of the tower. It just isn’t summer without a tan. Yes, we’d love to get that from a full day of being immersed in the sea, but we can still work on it from the comfort of the city. Don’t forget your SPF, favorite summer read and shades when you head to the nearest pool. Fairmont Nile City boasts a pool on the deck with an unparalleled view of the city. For 480 EGP, you can enjoy not only the pool, but also the hotel’s sauna, steam room, Jacuzzi and gym. It’s a full pampering package! 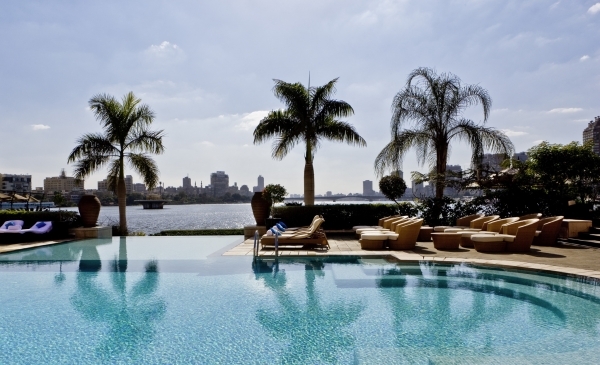 Sofitel El Gezira’s infinity pool gives you a front row seat to the Nile. For 1776 EGP, you get a double room and enjoy access to the pool, gym, sauna and steam room for the whole day between 8 am and 8 pm. For 600 EGP, you can enjoy all that without the room from 7 am to 7 pm. JW Marriott also offers a day use with access to a double room. For 1105 EGP, you enjoy the pool, sauna, gym and Jacuzzi from 11 am to 7 pm. Dusit Thani provides day use access to its pool and Jacuzzi between 10 am and 6 pm. For 1550 EGP or 1649 EGP (single/double, respectively), you get a high floor room with a pool/lake view and access to the club lounge which offers breakfast, internet, complementary soft drinks throughout the day and snacks. 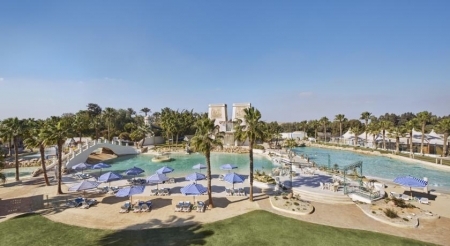 For a lesser rate of 1400/1499 EGP (single/double), you get a Deluxe Room on the ground floor with direct access to one of the hotel’s three pools. You could also get a Deluxe Standard Room on one of the higher floors with a view of the lake or one of the pools for 900 EGP/1000 EGP. All packages include parking for one car. At InterContintental Semiramis, you can book a room for 950 EGP with a view of the Nile to enjoy the pool and everything else the hotel has to offer, or you can opt to use the pool only without booking a room. Pool use alone is 200 EGP for adults and 150 EGP for kids between 3 and 12 years old. For 550 EGP, Mövenpick Pyramids Hotel gives you a double room from 10 am to 7 pm, access to the hotel’s pool and gym and a set menu lunch. 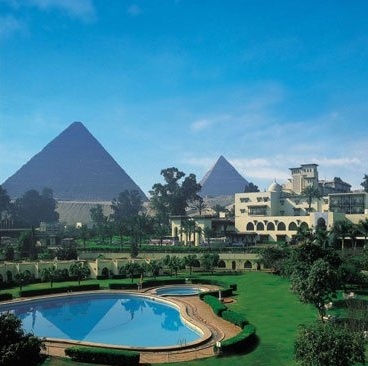 Fancy taking a dip in the Pyramids’ shadow? Mena House is the perfect option! Book a double room for the day, enjoy the pool and a meal for 700 EGP or, access the pool and have lunch without a room for 350 EGP. Inaugurated less than a year ago, the Nile Ritz-Carlton is in Central Cairo’s Tahrir Square with a stunning view of the Nile. To enjoy one of the hotel’s cabanas, its luxurious swimming pool and its health club and bask in the amazing view it offers, it is 1400 EGP. 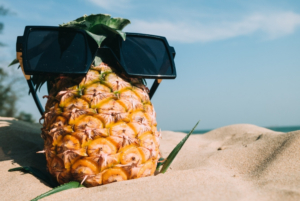 Contact your favorite/nearest hotel for more details about booking and pricing (they may be subject to seasonal changes) and get to work on your tan!